Iran should target markets in neighboring countries in order to be able to counter new US sanctions, Iranian Deputy Minister of Industries, Mining and Trade Sadeq Najafi said July 8, ILNA news agency reported. “Neighboring nations can be regarded as good markets for Iranian products and we should seize this opportunity,” he noted. Referring to impending US sanctions against Tehran, he said the government should learn more about the schemes of Washington and then counteract. 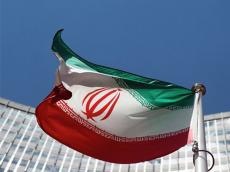 The potential of Iran’s non-oil export is estimated to stand at $40 billion, Najafi said, noting that this domestic capacity can be used to confront the sanctions. Synergy and unity among officials can also help fight the sanctions, the deputy minister added.